Sam Ellard's a young Liverpool fan, who amid the brou-haha of Luis Suarez's latest biting drama wants proper perspective on the striker - and why he's so valuable to Liverpool. Luis Suarez is once again in the spotlight for the wrong reasons after another moment of madness. Liverpool's Uruguayan striker was involved in a tussle with Chelsea defender Branislav Ivanovic in the second half of the reds 2-2 draw with Chelsea. Suarez grabbed hold of the defender's arm and sank his teeth into the Serb — the second time in his career he has been caught trying to take a chunk out of an opponent. 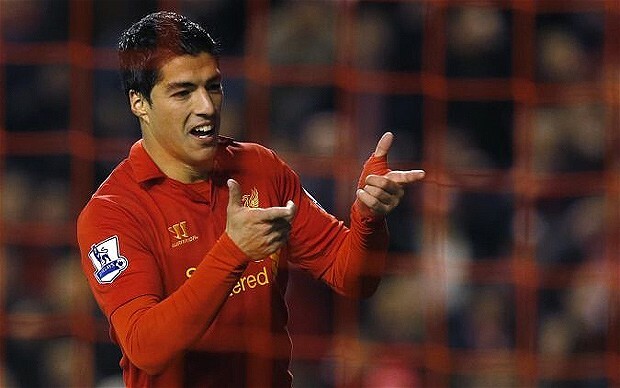 That called for a lot of Liverpool’s fans to call for Suarez to leave the club at the end of the season. This is now the second time he has put the club in the headlines for the wrong reasons globally. But anyone who wants the little magician out of the club are bonkers! Liverpool’s aim is to get back amongst the elite by qualifying for the Champions League and Liverpool need players like Suarez, who was set to end the season with the Golden Boot until his ban which now rules him out for 10 games. Liverpool fans have to believe that Suarez won’t repeat his stupidity again, because we all know when he’s on the pitch doing what he does best, playing football, he’s a joy to watch. What's more frustrating is the fact that with all of Suarez’s antics and FA’s inconsistencies, Suarez has missed some 20 games just through bans. But whether you look at it through red-tinted glasses or not, what Suarez did has no place on the football field and he was rightly punished; the length of it a bit harsh, but a deserving ban nonetheless. Suarez is a loon, but hes our loon! We have to keep backing him like we’ve done on plenty of occasions already. 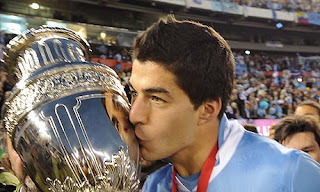 We just can’t get enough, or in Suarez’s case, he just can’t eat enough! As Liverpool fans we should embrace having such a talented player at our club. He's often a joy to watch, he has quick feet, goes round players like they’re not there and of course, he's the second highest scorer in the Premier League! Suarez is famous for his on-pitch tantrums. Justified or not, the referee is guaranteed a mouthful from the Uruguayan whenever he's in earshot. Suarez, like another former Red great, Dirk Kuyt has a commendable never-say-die attitude that makes him beloved to Liverpool and Uruguay fans alike. His attitude also helps on the pitch; defenders become lackadaisical, allow Suarez to nip in and create chances. Suarez has gone through hell on earth with Liverpool with harsh treatment from the FA. The eight-match ban slapped down almost a year ago, as well a constant jeers on every away trip may irritate Suarez and his fans, but he has become closer to the club as a result of the support. Suarez gives everything to the club, day in, day out. 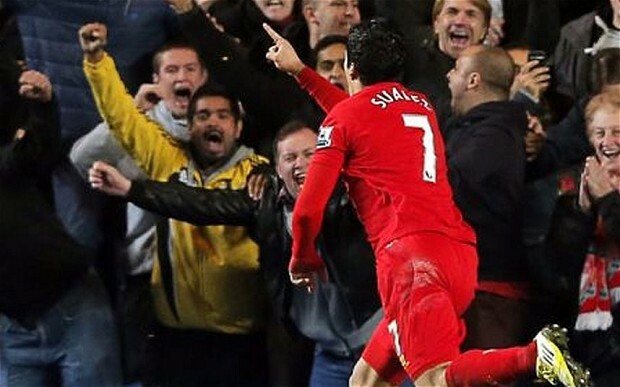 After each game, Suarez uses a genuine Twitter account to update, inform and, most importantly, thank fans. This alone proves that Suarez does not take the support given to him for granted. If he wanted, he could walk into any club in the world and earn even more than he does already. But he’s still at the club, and I predict he will be for a long time come. As mentioned, Suarez faces deserved criticism by consistent chance-squandering. That being said, when he does score, they're so often spectacular crowd-pleasers. It’s safe to say that he has an eye for the seemingly impossible. His 40-yard goal against Norwich, his free kick against Manchester City and the strike against Newcastle were all top-class and whether you support the Reds or not, you can't help but admire some of the things he can do with a football. 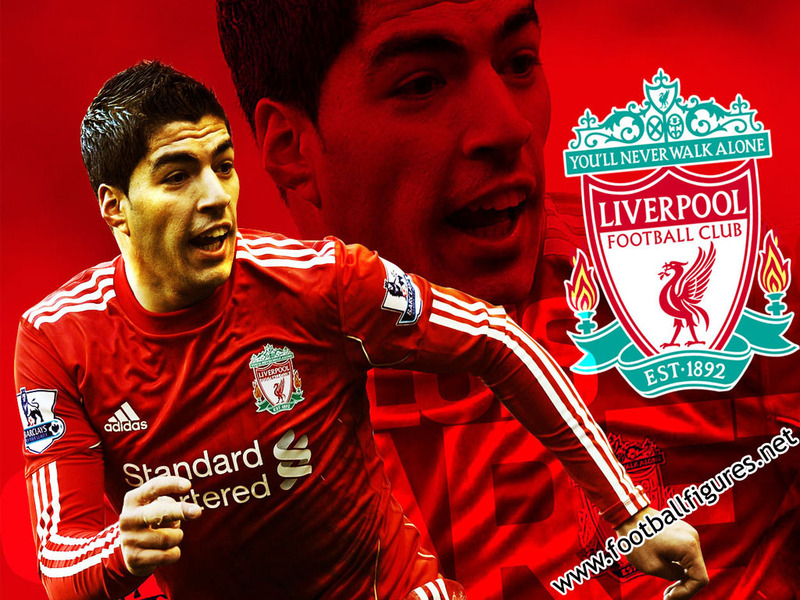 Even with Steven Gerrard as captain, I believe Suarez is Liverpool's best player and will be for a long time. Liverpool fans have become accustomed to the brilliance of our number 7, and through reciprocation of fan support, his unpredictablity and his entertainment value to watch, Suarez is, at least to Liverpool fans, fantastic. Love him or loathe him, you can't ignore him!